"Let us do it - we know how." 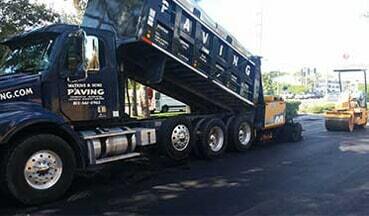 Let Watkins & Sons Paving make your property easier to drive, park, and walk on. For over 30 years we have specialized in residential & commercial asphalt paving, parking lot maintenance, and concrete curbing. When we're done working on your surfaces your employees or family members won't have to watch their step. As a family-owned-and-operated company, we know how to treat you with the service you deserve. You deal with genuine, fully licensed, bonded, and insured professional contractors who provide you with free estimates as well as timely work.